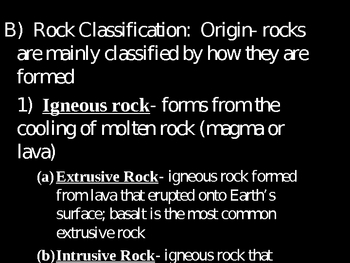 This PowerPoint details the three types of rocks, sedimentary, igneous, and metamorphic. 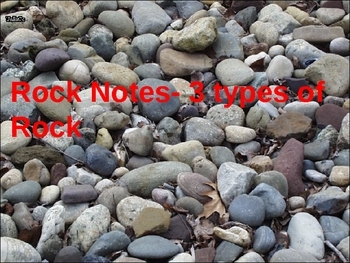 It outlines the various types of each rock and how they are classified. 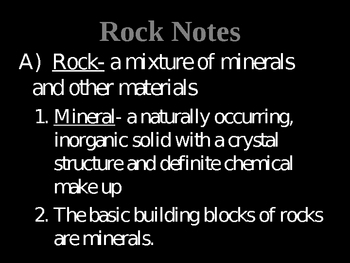 The "Rock Notes- fill in the blanks" student handout goes along with this Power Point presentation. 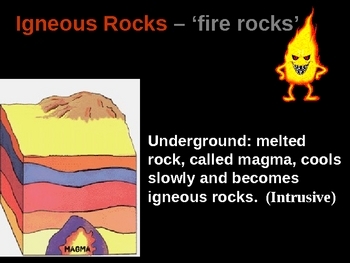 It also looks at the mineral composition of rocks and the rock cycle.